WARNING: As this is the last book in the series, there will be spoilers for the previous two books. If you don’t wish to know what happens, please don’t read on! 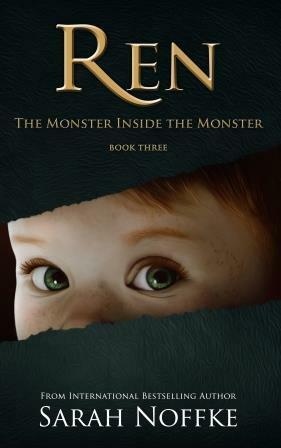 Ren Lewis is back for one final time in the last book in his trilogy. We pick up immediately where the previous book left off. Ren has just discovered that his daughter Adelaide is pregnant, meaning just as he’s learning to accept the fact that he is a father, he’s going to become a grandfather as well. On top of that, he has to deal with the troublesome and mysterious Vivian who has big plans and is determined that she and Ren are made for each other. I love Ren. I always have done from the first time we met him in The Lucidites Series, and as much as I’m sad we have to say goodbye to him, I’m so glad he got his own trilogy and we got to see his story progress. He’s not a nice character 99.9% of the time, he really isn’t. Insulting people is practically a hobby for him. But I love him anyway. That’s what has made him such an endearing character, he’s completely unapologetic for the way he is. However, in this final book we are treated to a different side of him, a side of Ren that only surfaces when he’s faced with a family, with people he’s genuinely come to care about. Seeing him come to an understanding with his daughter, and seeing him encourage her to be a better parent than he was able to be was such an enjoyable part of this story. This third book let us finally get to know Vivian, the woman behind the events in the previous book but who we only got to meet briefly. Vivian was a chilling antagonist because she genuinely believed that what she was doing was good and right. Ren’s ways of dealing with her definitely threw some unexpected twists at story, ones that left me not knowing whether I wanted to shake some sense into him or laugh at how far he’s willing to go sometimes. One of the best things about this final book is that his work in stopping Vivian leads Ren back to the Lucidite institute, and we get to catch up with characters from that first series. Not only did we get a few scenes with Aidan and Roya again, but we also got see Joseph and Trent, which I was thrilled about! It was great to see Ren back in that environment, and to finally move on from it by the end of the story as well. With a perfectly satisfying conclusion, it was bittersweet to reach the end of this final book. I have adored reading all about Ren, and I will definitely miss not only his character, but the people around him as well. It’s been a wild journey and I’m so glad I had the chance to be part of it!